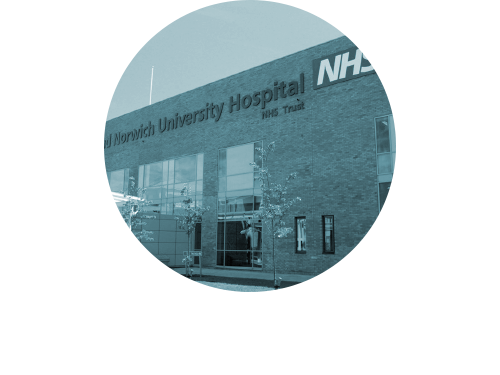 The Norfolk and Norwich Hospital is the UK's first largescale single-build PFI (Private Finance Initiative) hospital with a staff of 5,500 treating over half a million people. Such a vast modern complex, over a site area of 63 acres (25.5 hectares), requires optimum fire detection systems supported by the very latest addressable technology. Defensor Fire Detection Systems Limited were contracted by the hospital to design, install and maintain the new fire detection system, and they had no hesitation in recommending Hochiki's ESP range of detection products as the perfect fit for the hospital. This complex public building has been operational for two years and within this period the detection has provided 100 percent reliability. This reliability is synonymous with Hochiki's brand that includes the ESP digital communications protocol, incorporating ARM capability (Alarm Reduction Management), which in conjunction with the control panel significantly minimises the potential for false or unwanted alarms. The performance of the system for this prestigious project is a measure of the quality of Hochiki's technology and Defensors engineering, providing the best possible life protection for staff and patients. This unrivalled reliability has proven to provide the lowest cost of ownership and total system integrity. To date the installation includes over 6000 photoelectric analogue addressable smoke sensors utilising Hochiki's ‘High Performance Optical Technology'. In addition, 2500 Hochiki Input/ Output Modules are used for monitoring and control or external equipment from the loop utilising Hochiki's fire data communications platform.